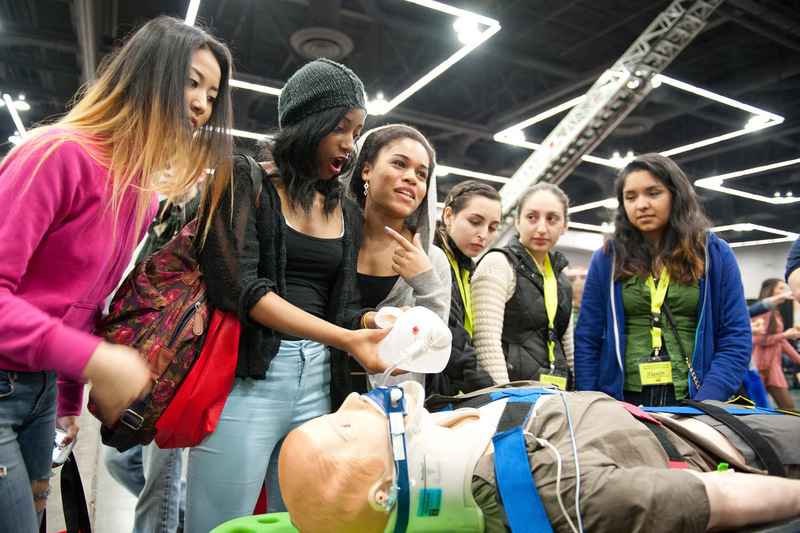 We’re looking at a record turnout of students for this year’s NW Youth Careers Expo on Tuesday, March 14, 2017, at the Oregon Convention Center. This week, we’re highlighting the exhibitors in the Health Care Zone, which will have a great mix of serious career learning and hands-on fun. So far, our health care exhibitors include Legacy Health, Providence Health & Services, Oregon Health & Science University, Kaiser Permanente Northwest, Banfield Pet Hospital, Portland Community College, the University of Portland School of Nursing, Chemeketa Community College and the Everest Institute. Below is early information about some of our health care exhibitors, along with a photo gallery from prior Expos. OHSU: Oregon Health & Science University is a major presence in the Northwest, both as a health care provider and an educational institution. Likewise, OHSU will have a big footprint at this year’s Health Care Zone, featuring career paths such as physician, nurse, paramedic, neuroscience research, rehabilitation services and many more. Kaiser Permanente Northwest: Kaiser Permanente’s booth has included the patient simulators (manikins) used by many health care professionals to practice their procedures. Students can also talk with Kaiser Permanente representatives about the organization’s internships and scholarship opportunities for high school students. Legacy: Last year, Legacy brought child-and infant-sized manikins, and it talked about nursing education leading to nursing careers working with both adult and pediatric patients. Students also learned about AV and software careers through Legacy. Portland Community College: PCC will feature programs in health occupations, gerontology, emergency medical services and veterinary technology. More than 6,800 students and about 170 exhibitors have registered for the Expo. Check out our “Meet our Exhibitors” page for additional printable flyers in technology, manufacturing, construction and creative careers. You can also visit our Expo HQ or see our Expo sponsors. The nonprofit Portland Workforce Alliance works year-round with businesses in every sector to provide career-learning opportunities for high school students. Research shows that students who have the opportunity to learn about careers while they are in high school are more likely to graduate, continue their education and find satisfying careers. To learn more, browse our website.